Rose Leslie is a Scottish actress known for her role in the series ‘Game of Thrones.’ Check out this biography to know about her birthday, childhood, family life, achievements and fun facts about her. 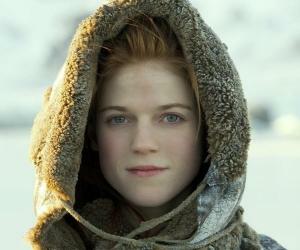 Rose Leslie is a Scottish actress known for playing Ygritte in HBO’s fantasy drama series ‘Game of Thrones’ and Gwen Dawson in ITV’s series ‘Downton Abbey.’ Her role in the TV film ‘New Town’ was also much appreciated; it won her a Scottish BAFTA award for Best Acting Performance. Born in Aberdeen, Scotland, she was raised at the Lickleyhead Castle, her family's 15th century ancestral house. Leslie moved to France at the age of ten. After shifting to England at the age of 13, she studied at Millfield School in Somerset. To pursue her dream career, she later moved to London when she was 18 and went on to attend the London Academy of Music and Dramatic Art to study acting. At the academy, she was deeply involved in plays. Leslie made her professional acting debut in 2008, appearing in an episode of Channel 5’s ‘Banged Up Abroad’. Since then, she has been entertaining her audiences with her extraordinary acting skills. In 2012, the Scottish beauty started a relationship with ‘Game of Thrones’ star Kit Harington and the two got married in June 2018. In her leisure time, Leslie enjoys running, playing tennis, skiing and rock climbing. While at the London Academy of Music and Dramatic Art, Rose Leslie appeared in a number of plays including ‘Can-Can,’ ‘Pericles,’ ‘The Learned Ladies,’ ‘Uncle Vanya’ and ‘Antigone.’ She also starred in the stage productions of other theatrical companies like Nell Leyshon's play ‘Bedlam,’ staged at Globe Theatre. Leslie made her television debut in 2008, appearing in an episode of ‘Banged Up Abroad’. 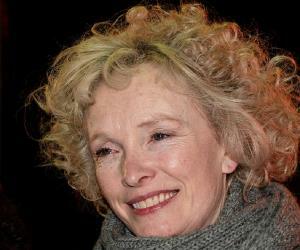 A year later, she made her onscreen debut as a leading lady in the TV film ‘New Town,’ which earned her the Scottish BAFTA for Best Acting Performance. The actress was cast as Gwen Dawson in ITV’s ‘Downton Abbey,’ a British historical period drama in 2010. Around this period, she was also featured in two episodes of ‘Case Histories’. In the year 2012, Leslie joined the cast of HBO’s ‘Game of Thrones’ as Ygritte, a fierce and headstrong warrior woman. She was associated with the series till 2014. During this time, the Scottish actress also starred in four episodes of ‘The Great Fire’ and the movies ‘Now Is Good’ and ‘Honeymoon’. In 2015, she played Chloe	in the dark fantasy action flick ‘The Last Witch Hunter’. That year, Leslie also guest-starred in BBC One’s ‘Luther’. A year later, she voiced the character of Red Riding Hood in the British-German animated movie ‘Revolting Rhymes’ and also played a role in Luke Scott’s sci-fi horror film ‘Morgan’. Since 2017, the actress has been playing the lead role of Maia Rindell in ‘The Good Fight,’ an American political and legal drama web television series. Rose Eleanor Arbuthnot-Leslie was born on 9 February 1987 in Aberdeen, Scotland to Candida Mary Sibyl Leslie and Sebastian Arbuthnot-Leslie. Her mother’s maternal great-grandfather, Simon Fraser, was a descendant of King Charles II while another great grandfather, Frederick Weld, was the sixth Prime Minister of New Zealand. Leslie's other ancestors include politician Charles March-Phillipps and MP James Walter Grimston, 3rd Earl of Verulam. Leslie grew up with four siblings: John, William, Sofia and Portia. She studied at Rayne North School and then went to Millfield in Somerset. She later graduated from London Academy of Music and Dramatic Art in 2008. 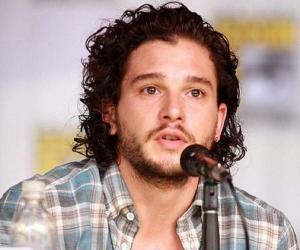 The actress started dating actor Kit Harington, her ‘Game of Thrones’ co-star, in 2012. The couple got married on 23 June 2018 at Rayne Church in Aberdeenshire.